The bottom dwellers in the National League East will face off in Miami as the New York Mets will take on the Miami Marlins. The Mets took two out of three against the Cincinnati Reds and had an outburst of eight runs in the final game of the series. The Marlins have lost eight of their last nine games and just lost two out three against the St. Louis Cardinals. 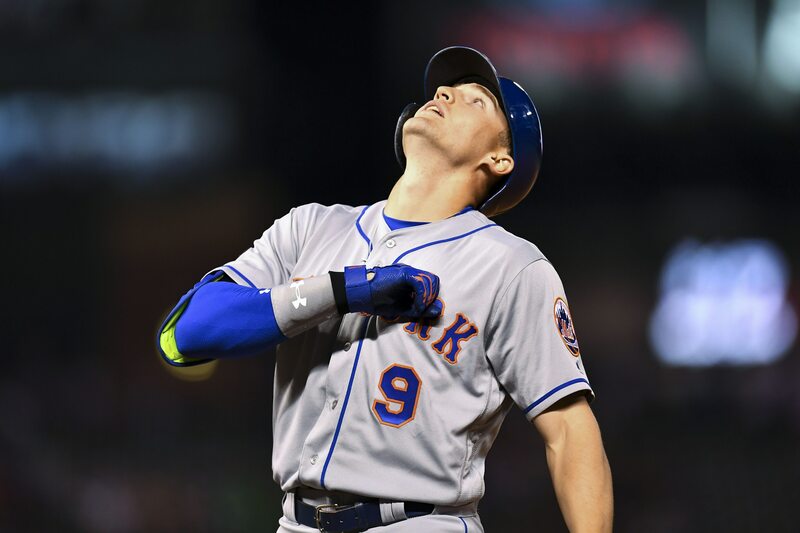 The Mets have a slight edge in the season series, taking 5 out of 9 games. Zack Wheeler has been pitching like the number one prospect the Mets traded Carlos Beltran for. He had a 3.13 ERA in July and put together seven shutout innings in his first start of August. Wheeler threw the only shutout of his career against the Marlins, in Miami. The elements are certainly in Wheeler’s favor to continue his dominance. Austin Jackson has been a pleasant surprise to the Mets ever since they signed him off the free agent market. In 11 games he is hitting .438 with a .688 slugging percentage and has taken away playing time from fellow veteran Jose Bautista. Jackson does not have the range he once had in center field, but still remains the only true center fielder on the roster. He will get a long leash the same way Matt den Dekker did and this leash should allow Jackson to finish the season as a Met. It has been apparent since the offseason that the Marlins were going to tank the entire season. They shipped away all of their high payroll players for prospects and cheaper alternatives to fill their roster. Starlin Castro was one of those players, but he is putting up his typical numbers. He is hitting .285 with 127 hits and it was surprising to see that he remained with the Marlins at the trade deadline. J.T. Realmuto is the last major trade piece left on the Marlins roster. He is one of the best catchers in baseball and will certainly draw a huge package in any trade he is included in. He has 24 doubles, 14 home runs and is one of the faster catchers in baseball. Realmuto has always put up good numbers against the Mets, hitting .303 over his career.